American scholars call it "revisionist history"
Quick Quiz: What do you think of when you think of Japan? Pagodas? Bonzai Trees? The flag with the big red dot on it? Most Americans revert to these and other, more shallow pop culture references. Ask a Baby Boomer the same question, however, and the answer will be very different. Anyone interested in that RFP? 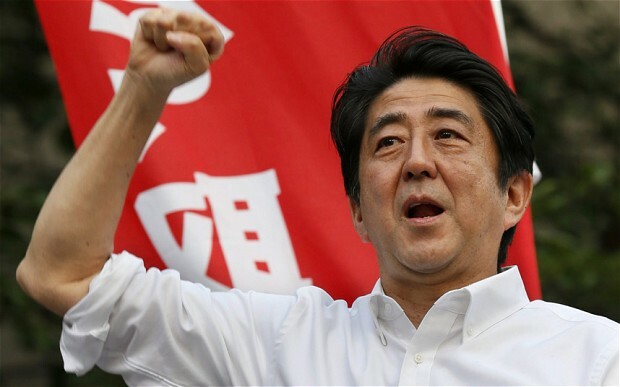 Much like America (home to a certain Civil Rights Movement with which you may be familiar), Japan has not always been the country it is today…and the Prime Minister now finds the process of reconciling the past and the present to be more difficult than expected. This effort to change perceptions of Japan’s past has enraged a few prominent U.S. historians and scholars who call it “revisionist history” and insist that people should be able to learn from what came before. One particularly controversial aspect of that history concerns “comfort women,” or girls forced into sexual slavery by the Imperial Japanese Army. “We stand with the many historians in Japan and elsewhere who have worked to bring to light the facts about this and other atrocities of World War II. We practice and produce history to learn from the past. Argue? If necessary. Move on? That option might be much less expensive.